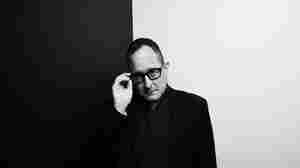 January 30, 2019  The Hold Steady frontman says his new album, I Need A New War, completes a thematic trilogy. Its opening track unfolds like a short story full of grace and instability. January 9, 2017  Finn, who's sung in The Hold Steady and Lifter Puller, has a new record called We All Want The Same Things, due out March 24. January 13, 2009  The group gets pared down to a trio for this casual acoustic session from KEXP. 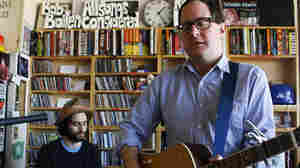 Craig Finn stood at the mic as Tad Kubler and Franz Nicolay handled an acoustic guitar, banjo and accordion. The set-up lets Finn's voice resonate, which means his great lyrics stand out even more than usual. July 24, 2008  The Hold Steady's Craig Finn and Tad Kubler were both over 30 when they made the recordings that finally brought success. 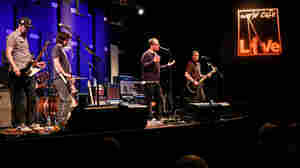 But with 2006's Boys and Girls in America and the new Stay Positive, the band has found its place as one of the country's best straight-up rock groups. The band discusses the influences behind its new album. 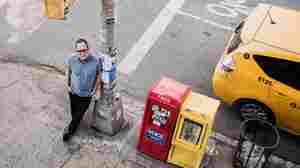 July 15, 2008  Blender music critic Lizzy Goodman says she has an "absolute mad love" for the group Hold Steady. November 1, 2007  Last year, Boys and Girls in America established The Hold Steady as the thinking man's bar band. The Holy Steady is a band steeped in clever storytelling and AC/DC riffs funneled through the heartland rock of The Replacements. Hear a performance from CMJ. 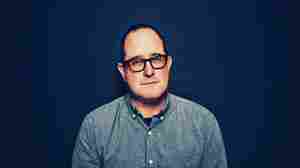 October 19, 2006  The Hold Steady is led by a very wordy, not-so-great singer named Craig Finn. The group's latest CD is Boys and Girls in America — a title taken from a line by Jack Kerouac. The line goes, "Boys and girls in America have such a sad time together." Critic Robert Christgau says that despite the band sounding a bit more like Bruce Springsteen, the characters are strong and indeed quite sad. 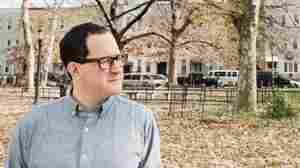 January 15, 2012  On his first solo album, the Hold Steady singer opts for mellow musical arrangements, allowing listeners to concentrate on the lyrics. June 1, 2012  A feast of music, stories and comedy, featuring Craig Finn, Rosanne Cash, John Darnielle, and Hamilton Leithauser. A reading from Pulitzer Prize-winning novelist Paul Harding and comedian Eugene Mirman on the secret messages he leaves on bar napkins. April 18, 2010  Following the departure of Hold Steady keyboardist Franz Nicolay, there was talk that the band might shake things up a bit. A bit, yes, but there's plenty for longtime fans to love on Heaven Is Whenever. Tremendous guitar riffs are still up front throughout these well-written, anthemic songs.